Free SEO Copywriting tool to compare up to 3 URLs and find relevant and important keywords in common for SEO Copywriting. 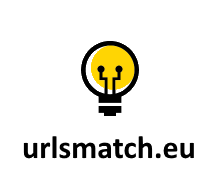 URLsMatch.eu is a SEO copywriting tool to check up to 3 different URLs and highlight keywords in common and many other SEO on-page ranking factors. With URLsMatch.eu it is possible to find relevant keywords used by TOP competitors ranking in the first Google result page. For every keyword the tool calculates the TF*IDF value comparing the specific keyword with all the keywords coming from the 3 URLs. URLsMatch.eu has been sponsored by the Italian SEO Agency EVE Milano. URL A/B/C: insert up to 3 URLs to compare and analyze. The tool highlights all the keywords in common. Stop Words: use the default stop words list or use your own. UserAgent: use the default user-agent or change the string with your preferred one. Characters Limit: setup the minimum keywords length to be checked. If you set 4 as minimum lenght, the tool will ignore all words with 3 or less characters. Repetitions: setup the minimum keywords repetitions. If you set 2 as minimum repetitions, the tool will ignore all words with less than 2 repetitions for each page checked. Keywords Number: setup the number of consecutive keywords you want to check together, as a key phrase. If you set 3 as minimum words, the tool will ignore all word sequences with less than 3 words. Check: start the analysis. The tool will download the pages, will calculate all KPIs and will show results with the keyword distribution. Download Excel: download the data into an Excel file. If you get any errors opening the file, click Ok.
Canonical: if the tool finds the Canonical tag, the tool provides a link to the canonical page. HTTP Status: status code of the requested resource (200, 3xx, 4xx e 5xx). Hops: # redirects needed to reach the required web page. The tool follows all the redirect untill it finds the final resources. Headers: HTTP headers. HTTP header fields are components of the header section of request and response messages in the Hypertext Transfer Protocol (HTTP). They define the operating parameters of an HTTP transaction. The header fields are transmitted after the request or response line, which is the first line of a message. Header fields are colon-separated name-value pairs in clear-text string format, terminated by a carriage return (CR) and line feed (LF) character sequence. The end of the header section is indicated by an empty field, resulting in the transmission of two consecutive CR-LF pairs. Historically, long lines could be folded into multiple lines; continuation lines are indicated by the presence of a space (SP) or horizontal tab (HT) as the first character on the next line. This folding is now deprecated. Content Words: words number between the H1 tag and the end of the post or page. This counter considers only the true content words. The function ignores scripts and common parts of the page not belonging to the content, as for example the footer and sidebar. Total words: words number between the body tag. Scripts are not counted. Words Ratio: ratio of Content Words and Total Words. Text Characters: characters number between the body tag. HTML Characters: characters number of all HTML. Characters Ratio: ratio of Text Characters and HTML Characters. Title: title tag of the web page analyzed. Title length: title tag length in characters. Description: meta description tag of the web page analyzed. Description Length: meta description length in characters. Keywords Lenght: meta keywords length in characters. Sitemap: the tool searches	for the Sitemap.xml file and, if found, a link will be shown. Robots: the tool searches for the Robots.txt file and, if found, a link will be shown. Multiple H1: the tool searches for multiple H1 heading. Images Number: number of images found on page. Click the number to open a pop-up and check the Alt Tag. Internal Links Number: number of internal links found on page. Click the number to check the Anchor Text. External Links Number: number of external links found on page. Click the number to check the Anchor Text. Filters: use filters to highlight keywords used by more than one URL. Search: real time keyword search. Occurrences (All): keyword repetitions in all HTML file. Occurrences (Content): keyword repetitions inside the page main content (from H1 to end of the article or page. TF-IDF: tf–idf, short for term frequency–inverse document frequency, is a numerical statistic that is intended to reflect how important a word is to a document in a collection or corpus. It is often used as a weighting factor in information retrieval and text mining. The tf-idf value increases proportionally to the number of times a word appears in the document, but is offset by the frequency of the word in the corpus, which helps to adjust for the fact that some words appear more frequently in general. Variations of the tf–idf weighting scheme are often used by search engines as a central tool in scoring and ranking a document's relevance given a user query. tf–idf can be successfully used for stop-words filtering in various subject fields including text summarization and classification. One of the simplest ranking functions is computed by summing the tf–idf for each query term; many more sophisticated ranking functions are variants of this simple model. Display dimensions for mobile devices: all devices with a display resolution less than 800 pixels will see only one column. The second column is activated with a resolution of at least 800 pixels. The third column is activated with a resolution of at least 1000 pixels. If you’re trying to figure out what keywords to go for, chances are you are going to take a look at some of your competitors to see what they are ranking for. But if you don’t have access to professional and premium SEO tools, how do you find out this kind of information? URLsMatch is a free SEO Copywriting tool to get you started in finding a variety of keywords being used by your TOP competitors. This tool will help you see what keywords bring them traffic as well as other interesting details that can help your SEO campaign. What do coatis eat? The coatis are medium sized mammals, which live in different habitats of south, central and North America. Coatis eat different types of insects, rodents, reptiles, fruits and nuts. The scientific name of the coati is Nasua and belongs to the family Procyonidae. The often called also called coatimundi or coatimondi and are closely related to the raccoons. They are found in tropical regions of South America, from Colombia and Venezuela to Uruguay, as well as in northern parts of Argentina. Their long snout gives them the name hog-nosed racoonns. They have slender head with small ears which helps them to hear from a distance and act accordingly if some predator in nearby. Their coarse fur can be gray to reddish or brown with a lighter under-part. Their long tail can be as equal as of their body size that helps them in balancing. The colour of the tail is usually found brown with rings on it and rings go completely around the tail. They are found only on American continent. An adult coati can be 33 to 70 cm (without tail) long, 32 cm tall and weigh around 10 to 24 ponds. The females are found comparatively smaller than males. The group of female coatis is called band. Females and young coatis live in bands or groups of 5 to 30, while males are solitary so they live and survive on their own. Offspring: Only one male is accepted to a band. The mating season starts between January and March in some locations, and between October and February in others. It varies with the location and availability of food. They generally mate during the start of the rainy season. After mating, males leave and go back to live solitarily and females start building the nests on the rocky edge or on trees. The male coatis join the group only when mating season starts and they remain with band approx for a month. Gestation period remains around to 75 to 78 days and female gives birth to 3 to 7 young coati. The baby coatis born between April and June. They are born on treetop nests made by female. In 19 days, young coatis can stand and in 24 to 26 days, they are able to walk. They start eating solid food in the age in 3 to 4 months. Males become mature at age of three years, while females are considered mature at age of two years. A coati can live 7 to 8 years in the wild while, it may live around 17 to 18 months in the captivity. What do coatis eat? Coatis are omnivorous which means they eat variety of food. Their diet is mainly comprised with fruits and invertebrates. Coatis eat scorpions, centipedes, spiders, ants, termites, lizards, small mammals, rodents, palms, eggs and different types of fruits and vegetables as well. Coatis are nocturnal, that means they prey and search food during the moonlight and sleep in daytime. The long snout with the nose is amazing to sense the food and the paws are capable to unearth invertebrates. Because of having a small size, they have a large number of predators in the wild and the environment where they live. Their main predators are jaguars, pumas and other large wildcats. Coatis are smart and opportunistic feeders, finding food is really not a big challenge for them, but saving them from predators is a difficult task. Coati diet is really strict and most of the portion of their consists small rodents and insects. They eat a variety of different fruits like barriers, sweet potatoes, pomegranate and winter squash. Catching the squirrels is really common for them and its easily available food. Coatis are opportunists they really have great sense of smell. They sniff out all kinds of insects and bugs. They are highly social animals. They live in various habitats like dense jungles, grasslands, wet jungles, mountains and deserts. They are omnivore so can switch their diet accordingly. They are smart and know how to survive in different environment. They can eat a vast range of food that includes meaty and leafy both varieties. The species of coatis: 1. The ring tailed coati: It has the tan colored thick fur and black bands along its tail. The ring tailed coatis inhabit in the rainforest and jungles of South America. They eat different kind of bugs and insects in the forest. 2. The mountain coati: The mountain coati is the smallest coati species also called the dwarf coati. The mountain Coatis have a body length between 36 and 39 cm and weight is counted around 1.3 kg They inhabit the Andes mountain range of the South America. The mountain coatis eat small rodents, reptiles, fruits and bugs. 3. The white nosed coati: The white nosed coati is the largest coati species. The size of a young white tailed coati may reach up to 120 cm in length and weigh around 4 to 6 kg. They are found throughout north and Central America. They prefer eating small vertebrates, fruits, carrion, insects, snakes and eggs. 4. The Cozumel island coati: This species of coati is only found in Cozumel Island of Mexico. It is treated as a subspecies of white tailed coati and shares lot of same traits. Cozumel Island coatis are slightly smaller than the white-nosed coatis. Are coatis dangerous? Coatis are not so dangerous and can be kept as a household pet as well. The white-nosed and South America coatis are common in captivity; mountain coatis are extremely rare in captivity. They are neither so friendly so it’s kind of difficult to trained them to behave according to humans. Keeping a coati as a pet requires so much time and care. Their diet is little varies and the food they eat is different than other pets. Having a coati pet can be a good idea provided that, if you have lot of time to care one. The coati is a medium-sized mammal only found on the American continent. The coati is found widely distributed across North, Central and South in a number of different habitats. The coati is primarily found in dense forests and wet jungles as the coati will spend a great deal of its life in the safety of the trees. However, there are also coati populations inhabiting grasslands, mountains and even deserts across the continent. There are four different species of coati, two of which, the Ring-tailed Coati and the Mountain Coati, are found in South America, and the remaining two coati species, the White-nosed Coati and the Cozumel Island Coati, are both found in Mexico. The Ring-tailed Coati is found in the jungles and rainforests of South America, where it lives both on the ground and in the trees. The Ring-tailed Coati has thick, tan coloured fur and black bands running along its tail. The Mountain Coati is found inhabiting areas of the Andes Mountain range in western South America. The Mountain Coati is also the smallest species of coati and is sometimes called the Dwarf Coati. The White-nosed Coati found in parts of North America and throughout Central America, including Mexico. The White-nosed Coati is the largest species of coati with some individuals growing to nearly 120 cm in length. The Cozumel Island Coati is found only on the Mexican island of Cozumel, and is thought to have been taken there by the Mayans. Despite the obvious similarities between the Cozumel Island Coati and the White-nosed Coati, the Cozumel Island Coati is considered to be a separate species. Female coatis live in groups of between 10 and 30 individuals, known as a band. The male coati is a solitary animal and only comes together with the females to mate. The coati is a nocturnal and omnivorous animal, meaning that the coati eats both plants and animals during the darkness of night. The coati eats a variety of different fruits, nuts and seeds, along with insects, birds eggs, rodents and small reptiles such as lizards and snakes. Due to the generally small size of the coati, the coati has numerous predators within its natural environment. Jaguars and pumas, along with other large wildcats, are the main predators of the coati, along with birds of prey, snakes and crocodiles. The coati breeds at the start of the rainy season which occurs at different times of the year, depending on the region, when there is an abundance of food. The female coati leaves the band of coatis and builds a nest in the trees or on a rocky ledge, where she gives birth to between 2 and 7 coati babies after a gestation period of nearly 3 months. The baby coatis rejoin the band of coatis with their mother, when they are about 6 weeks old. Coati The coati, also known as the coatimundi, is a medium-sized, tree-climbing mammal found in South America, Central America, and south-western North America. Coatis have a long, rather pig-like snout which gives them the nickname “the hog-nosed raccoon.” There are four species of coati: the white-nosed coati, the South American coati, the eastern mountain coati, and western mountain coati. Read on to learn more about the Coati. 1 2 3 4 5 PrevNext Start Stop Coati 1Coati 2Coati 5Coati 4Coati 3 PrevNext Description of the Coati Although the species vary in color, the usual coloration is an orange or reddish to dark brown, sometimes close to black. Their underside and short, rounded ears are often much paler, and they have black paws. Coatis have a strikingly elongated snout and long tail, both are often a different color to the main body, sometimes with rings or bands of contrasting colors. They usually carry their tails erect when they walk with their bear-like gait. Their front feet have long, blunt, and slightly curved claws, whereas the back feet have shorter claws. They have webbing between their toes making them powerful swimmers. Males are almost twice as large as females and both sexes have long, very sharp canine teeth. Interesting Facts About the Coati Coatis are intelligent and highly adaptable animals. They climb and forage both in trees and on the ground. This means they have several interesting adaptations. Snout – Long and flexible – it can be rotated up to 60° in any direction. Ankles – These are double-jointed, and can rotate beyond 180° when climbing down trees head-first. Feeding Behavior – South American coatis eat tarantulas, after rolling them about to remove their irritating hairs. Tail – Coatis have a long tail which, although it cannot grip objects, is used like a balancing pole when climbing about in trees. Group Noun – A group of coatis is known as a “band.” Habitat of the Coati Coatis are generally moist or tropical rain forest dwellers. However, within their range, they may occupy any wooded habitat up to 9,850 ft (3,000 m). This includes temperate oak and pine forests, and lowland tropical rain forests. They are sometimes found in savannas and deserts. Distribution of the Coati White-nosed coati: Mexico, Central America, Southwestern United States, and Colombia South American coati: South America Eastern mountain coati: Venezuela Western mountain coati: Colombia and Ecuador Diet of the Coati Coatis are omnivores, with a highly varied diet of small vertebrate prey (lizards, rodents, birds, bird eggs, and crocodile eggs), ground-litter invertebrates, and fruit. They have a great sense of smell, and they use their snouts to root the ground in a pig-like manner to unearth invertebrates. They also dig up food with their powerful paws and claws. They travel about a mile (1.5 km) each day foraging for food. Coati and Human Interaction Coatis have been studied extensively in some areas. As a result of this, the coatis in these areas have become used to humans, and do not run away if approached. Coatis are sometimes eaten by humans, and population densities dramatically drop with increased human hunting. They are captured and sold as pets, even though they do not make good pets. The coati can cause damage to crops and houses, and sometimes kill chickens. Domestication Although coatis have been tamed, they have not been domesticated. Does the Coati Make a Good Pet Coatis can be very affectionate and loving pets. They are puppy-like when young. However, although it is relatively easy to bond with a youngster, it can be enormously challenging if an older adult is acquired which is not bonded to you. Because of their high energy and strength, they can injure other pets (cats, dogs) or humans when playing with them, and they can transmit diseases. Coati Care A minimum cage size of 5 x 10 ft (1.5 x 3.0 m) is recommended. The cage should be filled with hammocks and branches for climbing on, and toys, such as bells and squeaky dog chews. Coatis are very energetic animals and must not be left in a small cage all day and night without ample time outside. Behavior of the Coati Coatis often choose to sleep or rest in elevated places, such as the forest canopy, in which they construct crude nests. Some species of coatis are active during daylight hours (diurnal), but others are active during the night (nocturnal). Female coatis live with their youngsters in groups of 10-30 individuals, this group being called a “band.” When a band is moving about or foraging, they are very noisy and communicate their intentions or moods with a wide range of grunts, snorts, and chirps. Adult males are solitary, only joining with females to mate. Coatis are very skilled climbers and use their long tails to help them balance. However, most foraging is done on the ground, where they search through the leaf-litter for food. Reproduction of the Coati Coatis breed at the start of the rainy season, when food is abundant. One male joins the band and mates with all receptive females. Once pregnant, the female leaves the band and builds a nest, usually high in the trees or on a rocky ledge. After a pregnancy (gestation period) of nearly three months, she gives birth to 2-7 babies, called “kittens.” Young coatis open their eyes at around ten days of age, they can stand around day 19, and walk well by day 24. They learn to climb shortly afterwards, at about 26 days of age. When the kittens are about 6-10 weeks old, they rejoin the band along with their mother, where other mothers help in co-operative care. Error: The page can't be downloaded. URLSMATCH.EU - the new free SEO keyword analysis tool that provides on-page TF IDF and SEO parameters such as meta tags, canonical, sitemap.xml location, HTTP heqaders and is able to compare up to three pages to highlight keywords in common. Use this online SEO Copywriting application as keyword discovery tool, spy your competitor's website, check the keyword used by the TOP ranking websites and use them to your advantage.